Oh boy! Here we go! The final stretch is ready and waiting for me, and things are getting very real. Not just cause I can’t really bend over anymore, and everything feels a little squished inside, but because I really am nearing my baby’s guess date, and before I know it, she will be here. I had a wonderful time at home, my final trip being young, free, and single (not thaaaaat kinda single, I mean Steve wasn’t with me for this trip!) and I made the most of seeing as many people as I could. 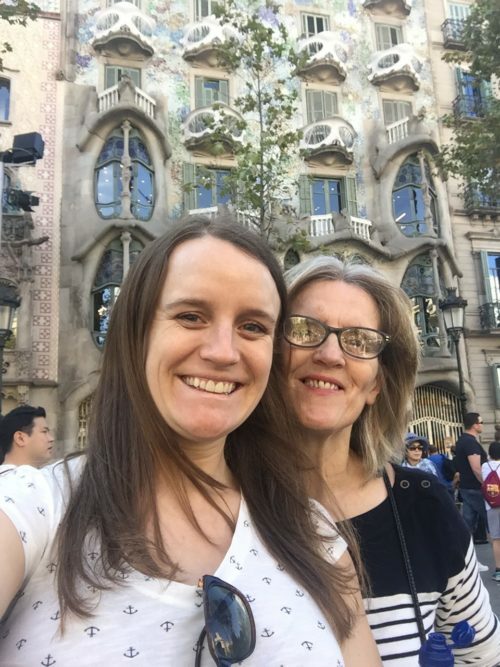 I jumped on a train to London to meet friends, I spent lots of time with my family, I enjoyed being able to just say “I am going out for a bit”, then literally doing it, I cherished quiet moments with friends, and I went to Barcelona for four days for my mums birthday. All things that will be rather difficult to accomplish with a baby the next time I am home. It was weird saying bye to everyone knowing that when I returned, I would have a baby in my arms. Life will be very different, in a good way though. My sister and mum threw me the most beautiful baby shower, it was such a wonderful afternoon, and I was absolutely spoiled rotten with the gifts. Let’s just say little love won’t be struggling with what to wear for a while!!! We played games, we chatted, we ate cupcakes, and we celebrated my future little girl. It gave me memories to cherish forever. Anyone recognize Evie Serventi on the right (my sports psych!) and of course my dear friend (and incredible singer) Kat on the left! 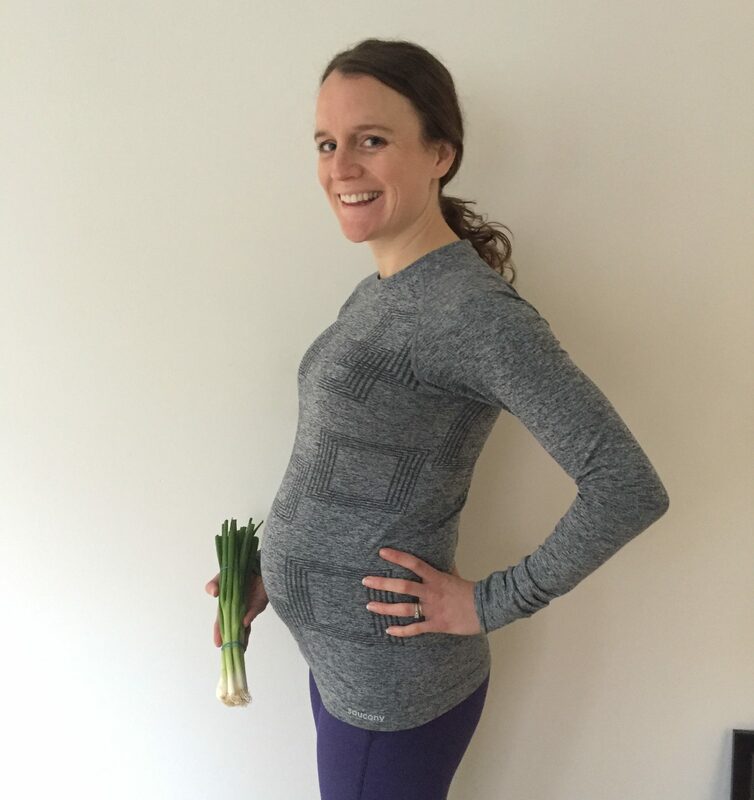 27 weeks, final week of second trimester! The size of a cucumber. She is 2lbs (estimate) and about 15 inches! +12lbs since conception, kind of surprising actually, as I have been eating every few hours absolutely starving! Clothes that are NOT maternity that I can still wear are very limited right now. Maternity clothes definitely feel the best, although I don’t have anywhere near enough to keep me going. I am holding off to Black Friday sales to hopefully get some more clothes to keep me going during this time. Actually not as bad as I would have thought for this point in the pregnancy. I do have some nights where I wake up randomly at somewhere like 3am, wide awake, and can’t get back to sleep, but I just move downstairs and relax. I still wake up around 5am most days, but that’s just the early bird in me wanting to get things done. We get into bed most nights around 8pm (HA!) and I fall asleep pretty quickly after that thanks to my Hypnobabies tracks (more about that later). Another reason I think I am sleeping okay is because of….you guessed it, my Snoogle Pillow! 😉 At my baby shower (the English one), I had all my friends try it, and the friend who is pregnant went on to order it that night. The other girls joked they would get one for now. Most comfortable pillow ever, and worth every penny!!! Not kidding! Ahhh so many. 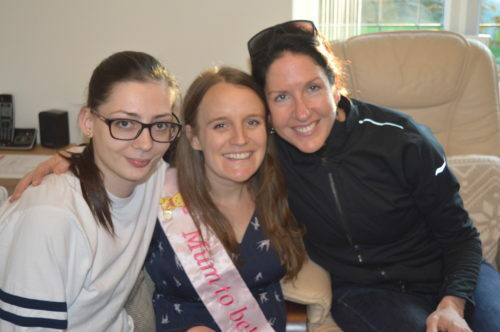 I loved my baby shower, but I think it might have been sometime last week when I could literally feel her arm scraping my stomach, I could feel her little bone move across my belly, and it was just amazing to experience. Last time I updated she was just starting to kick, but now it is all the time, and I just love it every time, I find my hand resting there all the time whenever she is doing it, and I just sit there and smile. Yeah, I still get tired easily. When my mum and I were in Barcelona, each night I would fall asleep as soon as my head hit the pillow, exhausted, but I made sure not to push too far…hence ending up on the floor at random times to sit for a moment. Not really much other than when I eat too much in one sitting and everything feels just a bit too cramped. Or on the other side of things, hunger pains become much more painful, and so I don’t allow myself to get too hungry. Still have congestion first thing in the morning, often thinking, “ahhh crap I have a cold”, but then a few hours later it’s completely gone. Gets me a lot of evenings now. I have always been someone who struggled with restless legs, but it is pretty bad right now, and I can’t take the medication I used to take for it, which is frustrating. Bending over is much more difficult, as is tying my shoes or doing anything forward bending. I have to do more of a squat now to get anything. I may or may not have had Wendys Chicken Tenders last Friday. I had been thinking about them all week as they were one of the commercials for the NYC marathon, and they just sounded so good. I haven’t had Wendys since my days in college, and I haven’t ever had their chicken tenders, but they were pretty damn good, especially with the S’Awesome sauce! I didn’t feel too gross afterwards either. I have had plenty of cheese, lettuce, tomato and mayonnaise sandwiches, seem to be loving those at the moment, and enjoying yogurt with muesli and salt and vinegar chips are still a fave. When I was home I was just making the most of everything I could that I can’t normally get, so that was just a bit of a free for all! I did really enjoy all the shellfish in Barcelona too. Strong smelling fish is still not appealing at all, and actually, cookies, like regular chocolate chip cookies are not that appealing right now either. I would say it is half out right now, such a strange feeling. Sushi, soft cheese, and lying down flat on my back. My baby shower in January at Morgans house and my massage at Baby Belly today (if you are reading this on Monday). Ohhhh and my maternity photos with Courtnie Coulson at the end of the month! I can now feel her kicks everywhere! 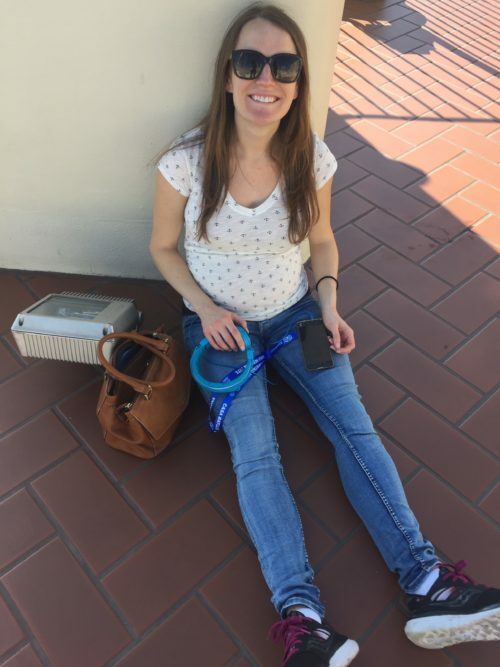 Oh yeah, I am at the stage where people do things for me…and then they look at my face, look down at my bump, and then awkwardly look away. Mum noticed it a lot in Barcelona, which was really funny once you started noticing it. Well, as I mentioned, I am LOVING my Hypnobabies audio tracks, especially the Pregnancy Affirmations one which I listen to every day now. The whole Hypnobabies style of birthing is EXACTLY what I wanted. As Steve said, it is “very Tina” and I already feel calm and confident about what I am going to do. I absolutely love it, and I will be posting about it soon for anyone who is interested in learning more. Yep Snoogle pillow and Burts Bee’s Mama Bee Oil for stretch marks are still there too. Still getting out there to run 3-4 days a week, other than I did take 4 days off everything while I was in Spain, I didn’t want to overdo it, and it was nice not having to worry about where to get it in. I go out for about an hour on those days, but if I only make 30 or 40 mins, that is fine with me. Often now take a few walk breaks if I need to, not long, just a few minutes, but enough to reset. I am still taking it very slowly and easily, the pace is slowing, but I don’t care, and I am taking it day by day. If my body decides it has had enough, I will stop. For now I feel tired, but not in an unsafe way, mostly my legs just feel sore and I feel sluggish. I wear my Run Angel every time now, just in case something happens to me, I can send off an alarm. I am strength training with Drew twice a week, and we have modified a lot now, but it still feels good to do, and I feel like it helps my body a lot. One funny update, I nearly passed out the other day having my whopping cough shot (there have been a lot of outbreaks in Kentucky in the past few years according to Dr Fuson). I was SO embarrassed, but my ears pounded, my vision went, and I started sweating profusely. I had to sit there for a good 10 mins for my body to calm down. As I mentioned, I have my maternity shoot with Courtnie Coulson at the end of the month, and we are looking forward to starting to get the nursery set up for her. Our Dock-a-Tot arrived a few days ago, which will be her little bed. 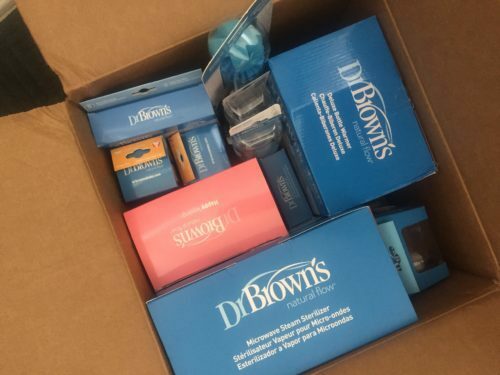 Oh aannnndd I am SO LUCKY to have been sent an incredible box of stuff from Dr Browns as I told them I had heard such wonderful things about them, and was excited to use their products. I did not expect all this, but it is amazing! Certainly made the right choice with them, I LOVE companies who actually appreciate support and feedback. They have been called the Gold Standard, and have by far the best reviews online, now I can say they are the best, genuine company too! See you in third trimester!